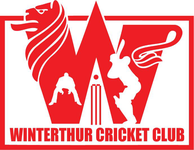 The Winterthur Cricket Club are taking a week off from the domestic competitions and have organised a friendly match against Freiburg-Nomads Cricket Club on Sunday 27th July, with the added option to make a weekend of it, staying overnight in Freiburg im Breisgau (Southern Germany) on Saturday 26th July at Seepark, 79114 Freiburg in Germany. The weekends itenerary could involve the option for a round of golf on Saturday 26th July or shopping in the lively University Town, followed by an evening meal in the city, and then a game of cricket against Freiburg-Nomads on Sunday 27th July. 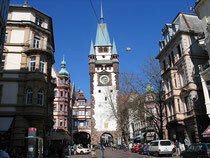 Alternatively, you can opt for just the cricket - Freiburg is only 1.5 hours from Winterthur. Further information is available from Raj Singh, but you can book your place with all the various options available to you (cricket only, overnight/cricket, cricket & golf) on the club doodle now!